These two aircraft was in the air during the famous attack on Pearl Harbour on the 7th of December 1941. 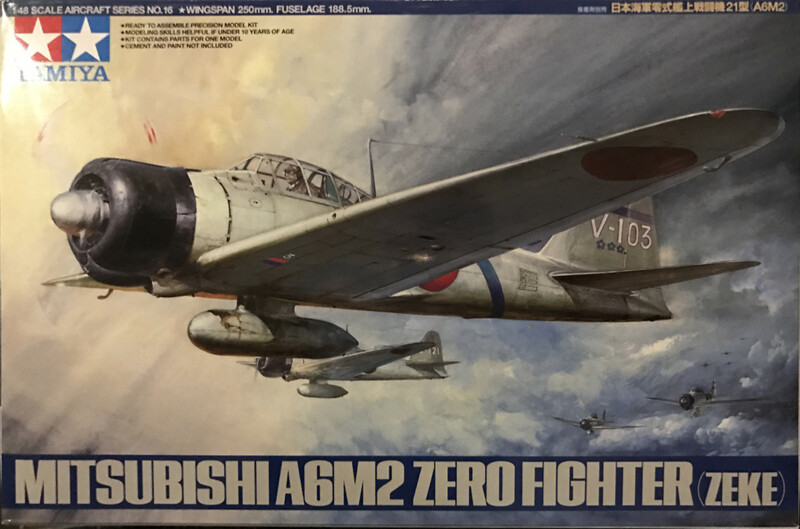 The Mitsubishi A6M2 Zero was flown by Lieutenant Commander Shigeru Itaya who led the first wave from the aircraft carrier Akagi. They lost one plane during the raid. One source says that he later reached ace status over China. He lost his life over the Kuriles on 24th of July 1944. He was mistakenly shot down by Japanese anti-aircraft gunners who thought it was an enemy plane. 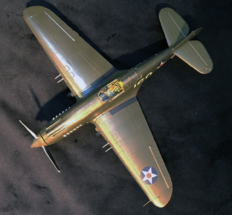 The Curtiss P-40 Warhawk was flown by Lieutenant George Welch. 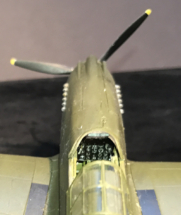 After an all night poker game, when the Japanese attacked, he and his friend Ken Taylor rushed of to the auxiliary Haleiwa Fighter Strip and took off with their Warhawks only armed with 30 cal. ammo. Welch shot down one and damaged another Aichi D3A Val dive bombers. They returned to reload, this time also with ammo for their 50 cal. guns. During the second flight Welch managed to shoot down a second Val and a Mitsubishi A6M2 Zero. For this he received a DSC. This is depicted in the 2001 movie Pearl Harbour. However unlike the hero in the picture Welch did not continue to participate in the Doolittle raid (an unlikely chain of events anyways). Instead he flew P-39 Airacobra and P-38H Lightning over New Guinea tallying his score up to a total of 16 shot down. After the war he continued as a test pilot for North American Aviation. During the Korean War he reportedly downed several enemy MiG-15 "Fagots" while "supervising" his students. However, Welch's kills were in disobedience of direct orders for him to not engage, and credits for the kills were thus distributed among his students. He was killed in 1954 when the Super Sabre he tested disintegrated during testing. 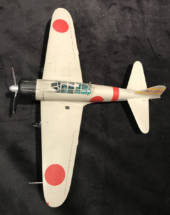 The Mitsubishi A6M Zero was developed starting 1937 and it was ready for production in 1939. It was the first aircraft carrier based fighter that could match it's land based equivalents. It staid the main fighter in the Japanese air force all through WWII. 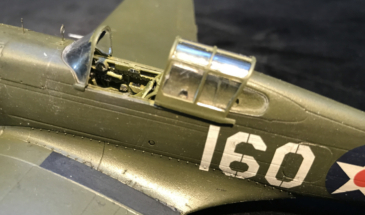 Eight different variants was constructed during the war but the last, the A6M8, was never put in production as the war ended. It was built to be fast and light but it's poor armament made it vulnerable to the heavier gunned opponents at later stages in the war. 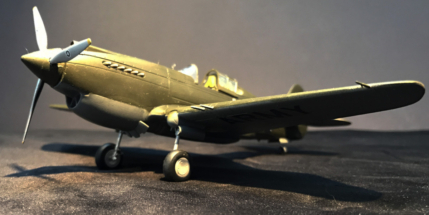 The Curtiss P-40 Warhawk first flew in 1938 and was the main fighter in the US Air Force at the start of WWII. It was mainly used in North Africa, by the Brittish under the name Tomahawk, in South West Pacific and in China, in the Chinese Air Force flown by Americans. 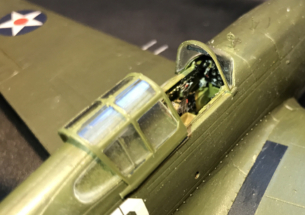 It saw front line service to the end of the war although it was out preformed by the P-47 Thunderbolt and the P-51 Mustang. 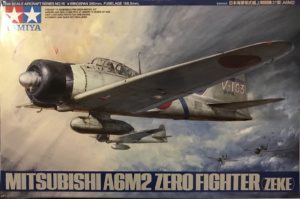 The Mitsubishi A6M2 is a kit from Tamiya in scale 1/48. The kit is a bit dated but OK. 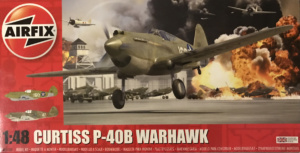 The Curtiss P-40B Warhawk is the quite new kit from Airfix in scale 1/48. 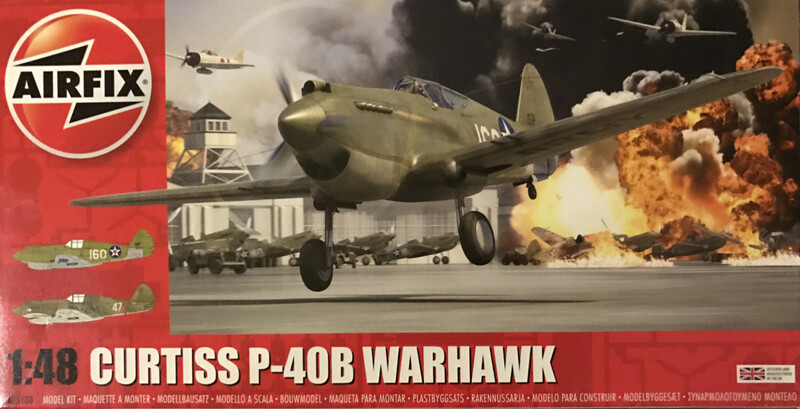 I've written a review of the P-40B Warhawk kit here.